We’ve turned one of our student art works into a t-shirt with the awesome help of Sheepshead Design! 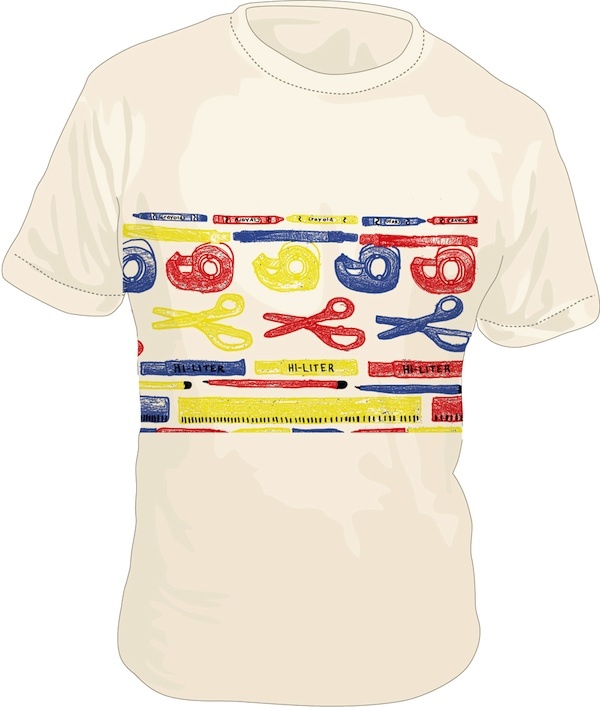 Shirts are screen printed in four vibrant colors on American Apparel shirts, beige color, with men’s sizes small, medium and large available (with women’s and other sizes to be printed soon, so email colin-at-artloop-dot-net if you’re interested! ).